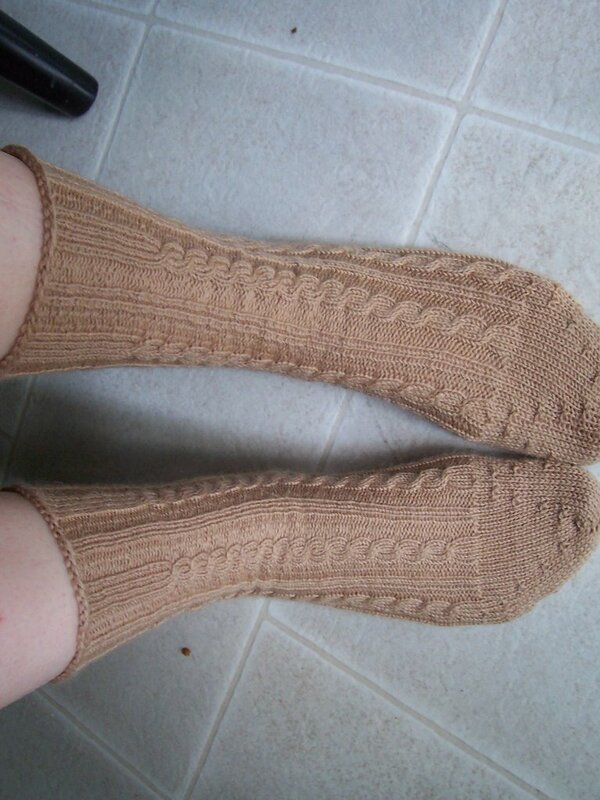 Last week, I finally finished my first pair of knit socks! These are the Rib and Cable Socks from the Fall 2005 Interweave Knits. I think I started them back in November. I finished the first one sometime after my surgery, when I was doing a lot of sitting around recovering. Then I didn't pick them up again until maybe two weeks ago? The second one was much faster to knit than the first. 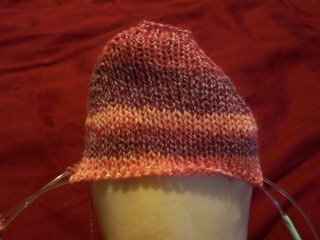 I also knit the second at much looser gauge than the first. When I first started knitting, I thought I would never want to knit socks. Silly, I thought (of course, I was living in Florida at the time). But I've been won over. They're fun and quick! 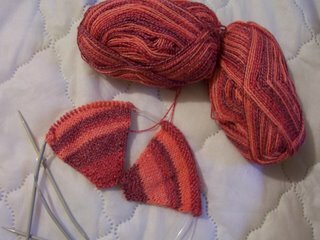 So I started another pair. When Matt was away the week before last he picked up some sock yarn for me. Regia Cotton Surf in colorway 5411. I started these Saturday night using the Knitpicks Toe-up Socks on two circs. 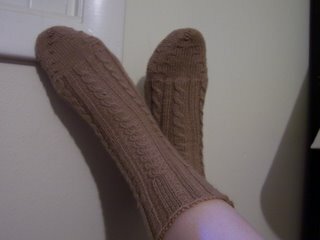 The toes look so pointy, but once I put them on, they look pretty cute. They're going very quickly, so expect to see them finished in not too long. I took Matt to work with me last week.